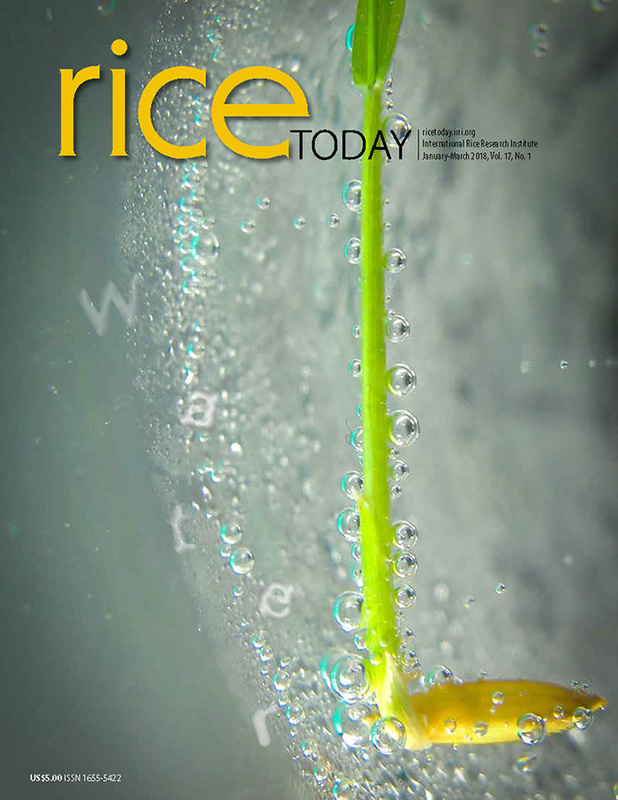 "It takes a global village to do rice science for a better world," said Bruce Tolentino, deputy director general for communication and partnerships of the International Rice Research Institute (IRRI), to delegates of the Asia-Pacific Economic Cooperation (APEC) visiting IRRI on 12 August 2015. The APEC visit was organized as part of the 6th Meeting of the APEC Policy Partnership on Science, Technology, and Innovation (PPSTI) that was recently held in the Philippines through its Department of Science and Technology (DOST). "I was fascinated to see that my economy, New Zealand, does have a variety of rice; I didn't know that before I came here. But even coming from an economy that doesn't consume or produce a lot of rice, the statistics from IRRI make the importance of rice so clear: rice is providing 50% of the world's staple and 70% of the diet of the world's poor," said Alex Rogers, program director of APEC-PPSTI. "(I think) the steps that IRRI has been taking over the decades it's been in operation are critical, not only to the social and emotional wellbeing of people, but also to economic progress because nutrition sets the platform for economic progress," explained Mr. Rogers. He also intimated how pleased he was to see how, at times, IRRI was breaking down barriers to get everyone to work together on rice. "This one which you achieved recently between Bangladesh, Nepal, and India to share new rice varieties that they developed amongst themselves—it's great. Cooperation is something we promote in APEC as well. I think today’s visit has been a fantastic opportunity for these officials, from all around the region that are working on science and technology issues, to really see firsthand the good work you're doing."